The London Six Day event is a series of track races that takes place over six days. Riders compete in teams of two, and each night has six to seven races in a variety of disciplines and distances. Each race has a set point allocation for the top spots and the team with the most points at the end wins. The demands of track racing vary widely based on the event. Some races take up to 30 minutes while other less than 3. Therefore, all around riders tend to do well. One such rider is thirty-year-old Danish rider Michael Morkov. 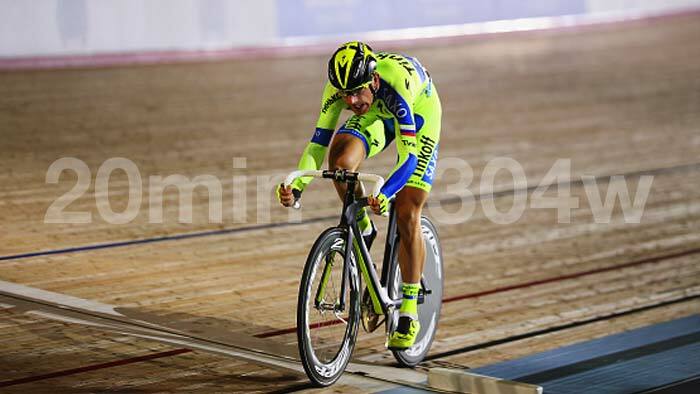 Morkov is no stranger to the track, having started his career as a track cyclist. In 2001 he was a member of the junior team pursuit that won the bronze at the Danish National Championship. In 2003 as a junior, he won the National Championships in the points race. Since turning professional in 2006, he has won 11 National Championships across different disciplines. In 2008 Morkov won a silver medal in the team pursuit at the Olympic games. In 2009 he and his partner won the Madison and team pursuit at the World Championships. Morkov does not race the track every year saying, “this year, I felt like doing it.” His partner for the London Six Days was his brother, Jesper. The pair won several races throughout the event, and ended up finishing 7th overall. Here is a look at the third day of racing. View Morkov’s full power file. Morkov and his brother won the 20km Madison, in which riders alternate “slinging” each other into the race. Michael averaged 304 watts at an average cadence of 107rpm for 20 minutes. In the 10k Derny, where the rider paces behind a derny (a lightweight motor bike) Michael averaged 346 watts with an average cadence of 128rpm and a speed of 64.6km/h (40mph) for 10 minutes. He also won this event. 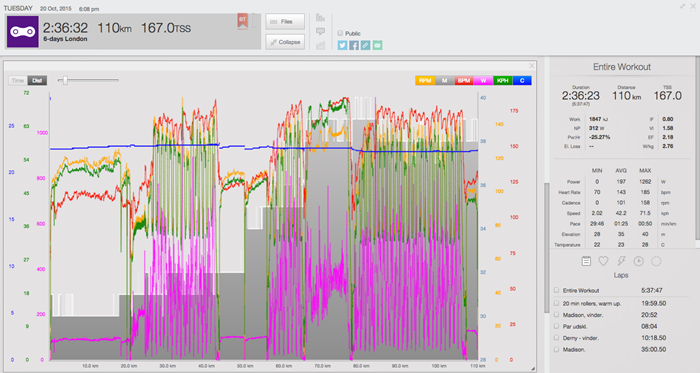 In the final Madison, Morkov finishes the night with a 35 minute effort at 315 watts, 106rpm, and 45.4km/h (28mph). It is obvious that Michael Morkov is passionate about riding his bike. A consumate professional, he enjoys the work necessary to be ready for a long professional race season and is a rare rider who needs few mental or physical breaks.